Sculpture Size: 13.25 X 7 X 2 in. 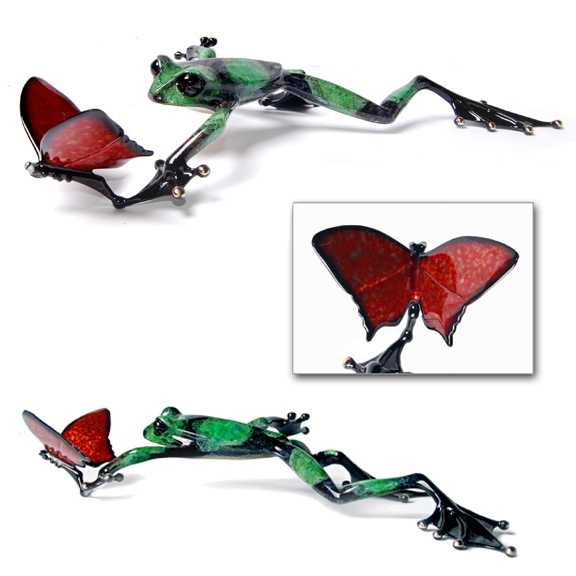 From the "Frog Friends" series, a stunning red butterfly gets a wake up call from a very handsome green and black frog. This bronze has a great patina color combination and great movement!